My husband and I love to travel. 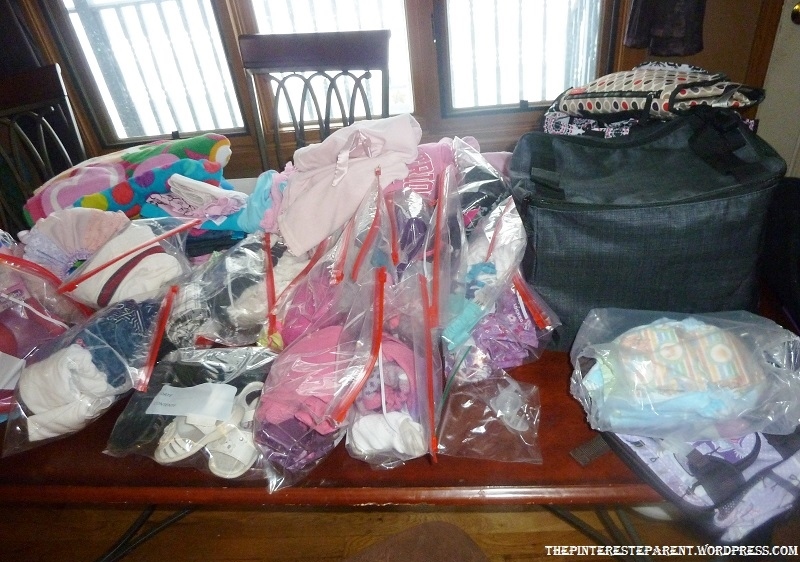 Before having our daughter, we would plan our next trip before our suitcases were even unpacked from the last. I have a travel bucket list about a mile long. There are so many places that I want to see, people I want to meet & foods that I want to taste. I don’t think I will have the time. We were going up until my 3rd trimester when we took an anniversary trip to Iceland. When we had Mai, we both agreed that we would continue our travels with our little passenger in tow. We thought it would be a great learning experience for her as well as a great way to create memories & bonds for us as a family. We just took our first big family vacation last week. Hubby, Mai, Nana & I all took an 8 day cruise to the Bahamas. It is amazing how different vacationing is when you add a 2 year old into the mix. Packing has changed for sure. I once went to Europe for 17 days with nothing but a duffel bag. Now that duffel bag would barely fit just the diapers alone. P.S. Potty training starts when we get home. Last call at the end of the night is no longer buying a beer for each hand, it is one of us scrambling to try to find a chocolate milk before bed. The first night on the ship there was loud music playing a few floors down. Before having kids, we would have been rushing to get ready to see where that music was coming from, instead “Oh my God!, Why is that so loud at…8 o’clock at night.” Oh yes, I am a mother now. And maybe it is just me but I wanted to punch random strangers in the face almost daily. It was shocking to me, how easily some people walked right through my child as if she was not even there. “Heeeellllo! That is a little 2 year old that you just knocked over.” Yeeeeah, you know who you are. Meal times are a race against the clock. You are always on the run. Sleeping in is not an option. …but it is still fun. Your fun has just been redefined. 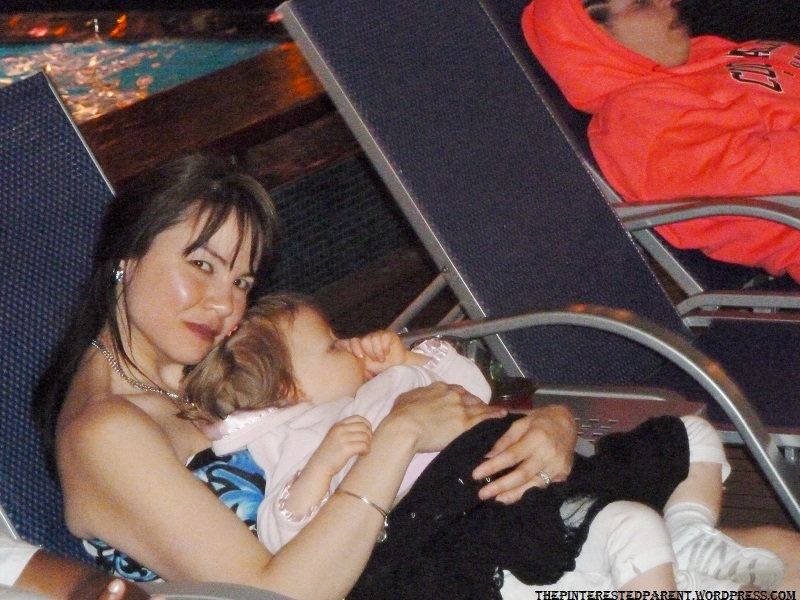 Traveling with your little one can be exhausting but also rewarding and fun. Plan ahead. Call & check with your hotels to see what amenities they provide for your little one. Many places have cribs & Pack n plays for guest use. We had a crib set up in our room & it was a life saver. Stay as close as you can to your bedtime routine. If you read stories before bed, be ready to do that on vacation too. If your child has a favorite animal or a lovee that they sleep with, bring it. If they go to sleep using a music box, it has to come. Plan kid friendly activities. 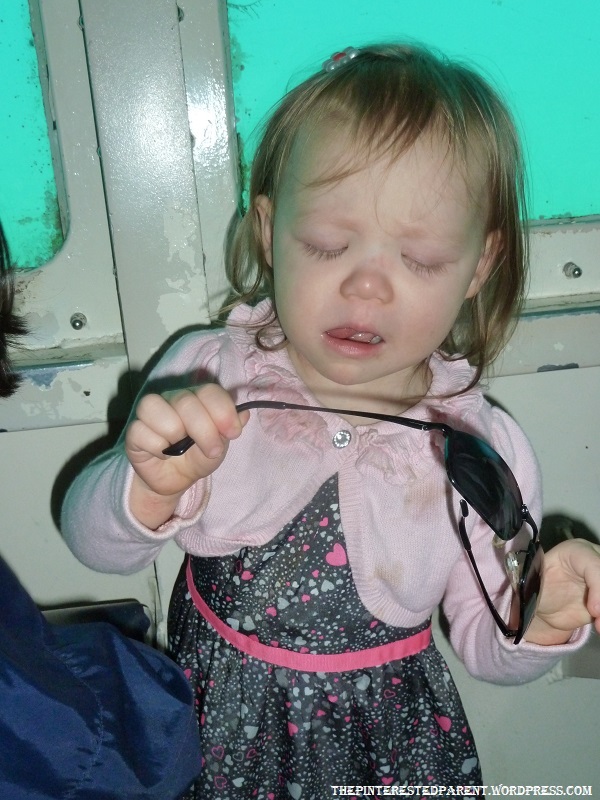 If you have a feisty toddler who like to run and explore, don’t pick long bus tours or boat rides. If you must, make sure they have toys or books to distract them. You know you child best & know what they can handle. Dress in layers and always bring a blanket. On a very windy boat ride in the Bahamas. I was relieved that my mother-in-law had packed a blanket away. We wrapped it around Mai’s head & face to protect her from the wind. Pack plenty of snacks & drinks. My toddler goes from thirsty to meltdown in a matter of minutes. Keep them handy at all times. Bring hand wipes and wash everyone’s hands frequently. Vacation is never a fun time to get sick but it does happen. Try to prevent with washing up often and make sure to bring medicines in case they are needed. And if you are fortunate enough as we were, having an extra set of hands always helps too. Thanks Nana! Beautifully said. 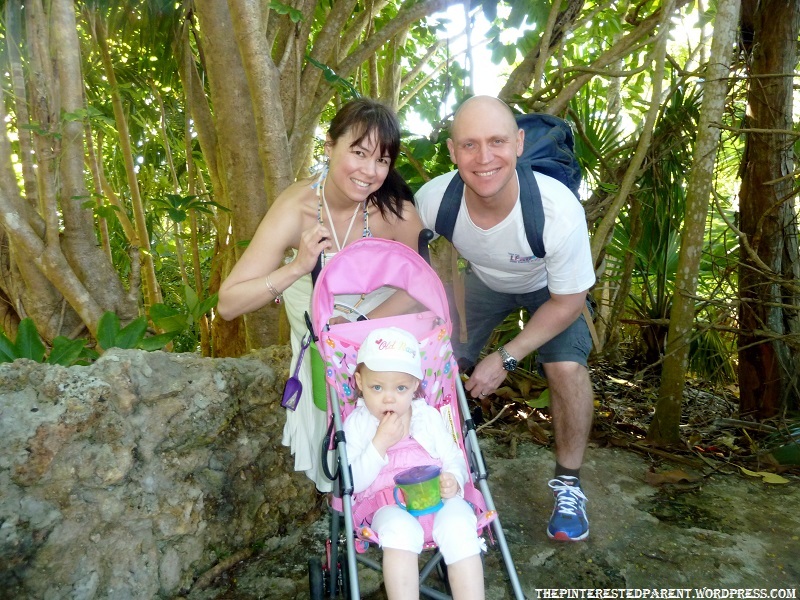 We used to love to travel, and now with the little ones it’s a totally different experience! Going to the mall feels like we’ve traveled. But yes, it’s so rewarding in an entirely different way. Love the pictures! Thank you, Leila. It is a completely different kind of adventure. You are right, going to the mall is hard enough. Lol! She loved every minute of it. That was the best part, watching her enjoying it. I remember all the trips I took with my children and I once boarded a plane from Florida, changed in GA and landed in Indiana with myself, 3 and 1 year old. It is amazing what you can survive and still have a good time. 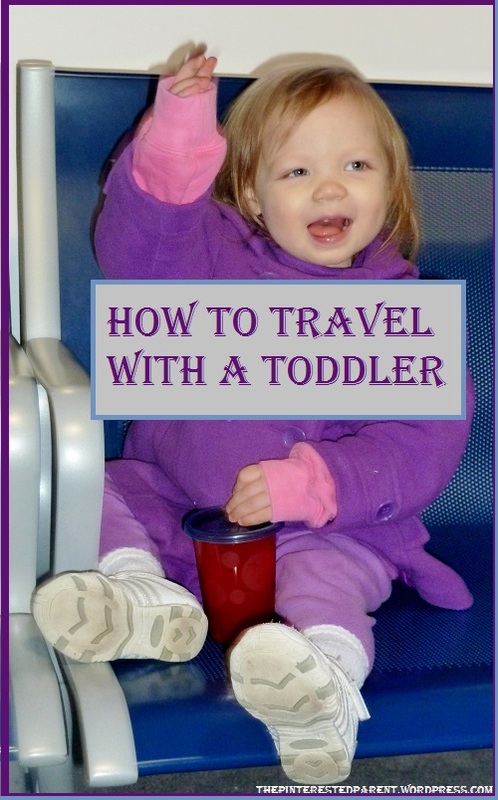 I loved seeing your photos and I bet your daughter will love being a well seasoned traveler. Omg! That sounds like quite the handful. We hand 3 sets of hands and 1 2 year old & it was still exhausting. Lol! She did love her first big trip. I hope she continues to enjoy traveling with us. We seem to travel a lot more now that all the kids are grown and out of the house. We do have a family vacation once a year where we take the kids and grandkids. I am hoping this is just one of many vacations. Tell me it gets easier. LOl! Yeah, snacks & drinks are still important to me too & I am 39. My daughter is a fiery one. I learned the hard way. 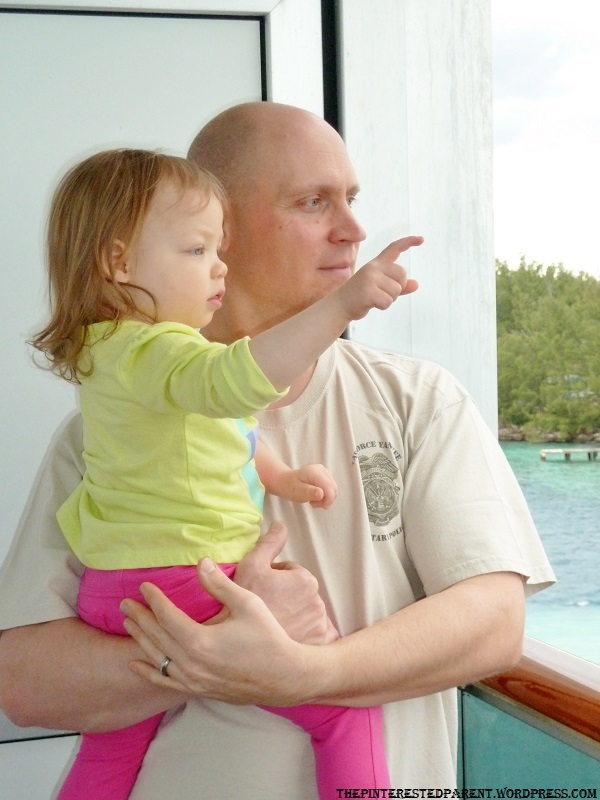 So jealous of the Bahamas, but so true about traveling with little ones. The best is having grandma there for the extra set of hands! Yes, she is a god send. I sometimes think Mai thinks she has 3 parents because Nanna helps us so often. Good for you! looks like you’ve been to some amazing places! I hope to see the eiffel tower day! We have been lucky in our travels and seen some incredible places. I hope you make it to the Eiffel some day. I love your pics! She is so precious!! Love your tips! Vacationing with a toddler can definitely be a challenge but also so much fun. We took our son to the beach when he was about 1 & it was definitely an experience! So many memories made though <3 Loved reading this. Found you from the Whatever Wednesday link-up! Thank you. Omg! Beach with a toddler is exhausting. Lol! Thanks for stopping in. Thank you. Fun & challenging is a great description. Congrats on your new baby. So fun! It is always an adventuring traveling! Thank you so much for sharing on Whatever Wednesday on Thank You Honey! Hope to see you again this week! Thanks Sarah. Thanks for hosting. Amazing tips. 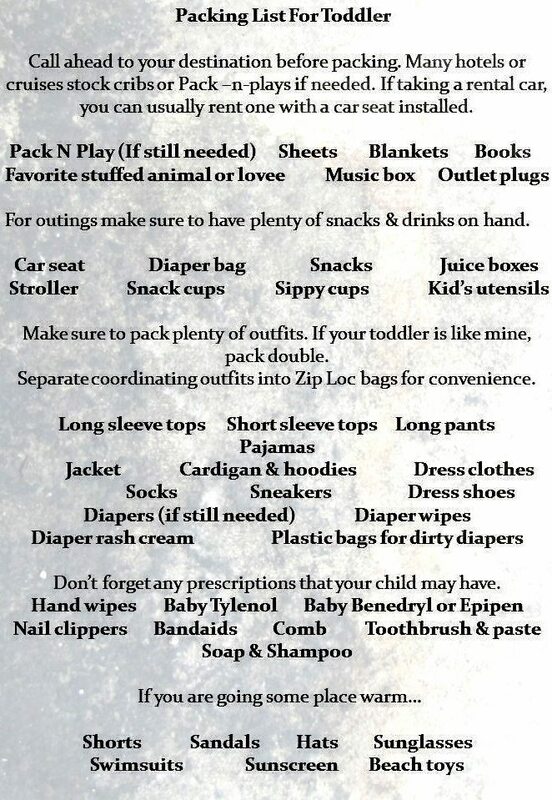 My fiancé an I are planning our very first trip with my step son who’s 3 for spring break and I’ve been a nervous wreck thinking of all I have to do and prepare so these tips help sooooo much! Thank you Suzanne. I am glad they helped. I hope you enjoy your trip. 🙂 Thank you for the reblog. Reblogged this on Life through our eyes..
Great tips and words of wisdom for people transitioning from adults only to adults plus kiddo! We’ve take ours since they were just 6 weeks old. At first it was hard – especially the lack of sleep, but we made memories anyway. Now they are amazing travelers!! 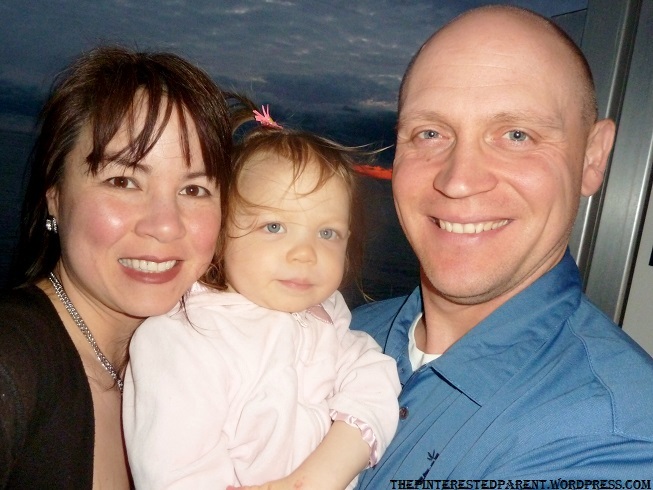 Visit http://www.theeducationaltourist.com for tips on packing light and traveling with the kids. Thanks for sharing! I’m going to llink on my website. I’d love a shout out from you!